The President's Chief of Staff Office in Brazil has just finished up a bill that frees the purchase and lease of land to companies with foreign control, without setting area limits as always defended by the forestry sector and farm caucus in Congress. The project is ready for voting in the Chamber of Deputies floor, but there is still a dispute among deputies of President Michel Temer’s allied base about who will sponsor the bill. In the text to which Valor had access, foreign companies or citizens are prevented from owning or leasing together more than 25% of a municipality’s territory. And it forbids foreign companies or persons of the same nationality from owning land that accounts for more than 40% of a city's territory. These rules are not valid if the foreigner marries a Brazilian citizen in communion of goods. There is still no date for the vote. A very interesting article about the connection between taxation and IT in Brazil. I`m learning that this is becoming a big thing. Some of my clients already pick accountacy firms based on the firm`s ability to cope with their ERP systems. Link to the original source. Brazil: Tax is not the issue. Variations, complexity and indirect cost to manage it it the true grit. It has been a while since I have started to work for multinational companies with operations in Brazil. For IT consultants there is a common ground when the subject is taxes. Goosebumps would describe this feeling. Most of the international teams do not realize how complex Brazilian taxes can be. There are indeed few tributes but as you will see bellow, there are a wide range of creative variations and many special categories. Exceptions everywhere. Indeed a quite complex environment to manage but not only. There are also many different mandatory reports to allow the Brazilian government to cross those information clusters. Government considers not only the data from one source but through big data, it crosses data from vendors, customers and similar companies to build the big picture about an industry, about a market segment and even about the company and its peers. This strategy is about not only the source (provided by the company) but also the exchanged data between different companies. The best example is the mandatory NFe (electronic invoice) that allows Brazilian Government to control and track down electronically any fiscal information about goods logistics. When the context is about Brazilian legislation within the context of tributes, taxes, and other compulsory fees, we are commonly referring into a very dynamic environment that uses many different rules. While in many countries there is only one "VAT" and few variations around this theme, Brazil has a wide range of rules regarding taxes and tributes and every year many variations are created (and/or extinguished). It is not an easy tax to set all those Tax formulas and keep it updated. A purchase order wrongly set will have a huge impact. Before proceed within this subject better to explore a bit about the political structure. Brazil exists on a political framework of a federal presidential representative democratic republic therefore the President is both head of state and head of government but Senate regulates his actions. Brazilian electoral systems relies on a multi-party system that requires a major effort to align interests before any political decision. The political and administrative organization of Brazil that comprises the federal government, the states, the federal district and the municipalities* therefore three levels of government, often referred in Portuguese as “esferas”: “federal”, “estadual” and “municipal”. (*Cities and its surrounding areas which comprises a unique structure to manage its government/political whereabouts). Federal district feel into a special condition in which is Municipality and State at the same time. The federal government exercises control over the central government and separated into three independent branches: executive, legislative and judicial. There are tributes attributed to each ESFERA that allows layers of control over the tax rates and special cases. Brazil has 5.570 municipalities, 26 states and 1 federal district, therefore 27x2 possible combinations for ICMS tax rates, 5570 possible tax rates for ISS and so on. Brazilian legislation allows a huge set of possibilities for the tax variations and this complex fiscal environment has been continuously criticized everywhere in the society but without any real movement to change. We are not talking only for ICMS (state of origin and state of destination) but also variations for ICMS for each state which multiplies the combination 27x2 by N of special conditions. As per special condition, we can mention one example: There is a different tax rate for finished product whenever the % of imported raw material (overseas) corresponds to more than X% of the total production cost. Can you imagine the effort to track down the stocks (could have mixed raw material), production orders, BOM and then change the tax during the invoice creation. Brazilian fiscal regulations have many changes across the year. According to a Brazilian wide publication, it states +8100 regulation changes during the year of 2013. Due this particular characteristic of Brazilian regulations, Fiscal area always requires a great deal of effort to follow up those changes. Of course not all changes will have impact on IT but requires an effort to read, understand and decide whether apply or not to the ERP. Because the environment is so diverse and has a wide range of rules, controlling and reporting to the government, Fiscal environment could be considered doomed because to manage such complex environment would easily lead to Chaos. There is a game change. Recently (3 years or so), Brazilian government has been creating more and more serious and automatized controls to avoid fraud and tax evasion using concepts of Big Data. Those electronic controls are demanding more and more from the companies and several “Obrigações Acessórias” which are very specific mandatory reports to be provided to the different government “esferas” which purpose is to cross data therefore provide internal reports leading to the Fiscal department to apply heavy fees to the companies. Auditing suddenly got a lot easier meanwhile companies now need to be very careful about the quality of the provided information. Any GAP could lead into an audit. In order to meet those legal requirements, companies are struggling to keep the pace and provide information to the Government. Many of the core reports created in flat files format also have a prior validation by a Brazilian Software before delivery. This software provided by the government cross many of the information in order to guarantee the minimum condition of quality has been set. For many big companies, a budget bigger than 500K R$ a year are required only to handle this Brazilian fiscal frenzy. Of course, there are many third part software provided by independent companies that gather the required data from ERP in order to provide cross validations and the presents the report. Choosing carefully this software is a big strategy because whenever an audit team arrives, the document drill down and correct correlation between report and accounting and fiscal data is the key to success and the better way to avoid penalties. With effect from 1 January 2008, Brazilian corporate taxpayers are required to record electronically every tax and accounting operation to comply with the “federal”, “estadual” and “municipal” tax authorities: SPED system. Brazilian Digital Bookkeeping System (SPED – Sistema Público de Escrituração Digital) is based on the creation of the Nota Fiscal Eletrônica (Electronic Invoice – NFe), the Escrituração Fiscal Digital (Digital Tax Bookkeeping System) and the Escrituração Contábil Digital (Digital Accounting Bookkeeping) systems. Companies send electronically all related data about those and also other required information (obrigações acessórias) into Government Databases and through those, the Brazilian government can track down the Accounting and Fiscal whereabouts from all companies. The actual Brazilian tax model is imposing a considerable volume of duties, that has direct impact in billing, invoice processing and compliance with tax obligations, requiring changes in IT, setting constrains on how to manage business processes. Back to 2011 Brazilian Government imposed more rules regarding digital bookkeeping requirements. 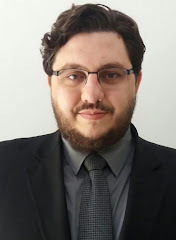 Brazilian tax authorities have had shown a roadmap of additional initiatives (few already has a defined due date but there are other yet in progress), such as Electronic Services Invoices (NFS-e), Taxable Income Computation Book (ECF), e-Social (SPED Payroll), Bloco K - SPED Stock (Inventory Manufacturing Control) and so on. Because the Tax scenario is so complex and often there are changes in the regulations/shared model up to few weeks before the obligation delivery, it is hard to keep the solution required at the speed of the changes required by the government. Those changes happens due rules clarification, result of legal interventions and other external factors. For example, for one of those main obligations, ECF**, it happened weeks before the due date. The software in charge to validate the report got 3 different versions 2 weeks before the delivery date. It is an IT nightmare for anyone. SPED ::: ECF (Escrituração Contábil Fiscal): It is a new obligation required by law to all companies that have operations in Brazil. 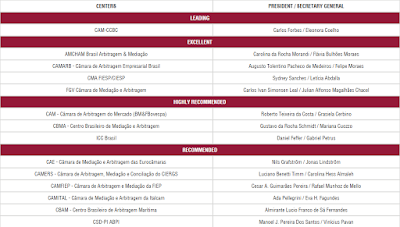 ECF is an evolution of previous tax related deliverables replacing the previous reports of DIPJ (Declaração de Informações de Pessoa Jurídica), CSLL (Social Contribution on Profits), LALUR (real/deemed profit - Livro de Apuração do Lucro Real) and others. It also requires an additional handling of a broaden set of information for tax tracking purposes and other outputs generated for other obligations like SPED Contabil (ECD - Escrituração Contábil Digital). GosteiBrazil: Tax is not the issue. Variations, complexity and indirect cost to manage it it the true grit. CompartilharCompartilhar Brazil: Tax is not the issue. Variations, complexity and indirect cost to manage it it the true grit. The ranking has been published by "Leaders League". I basically agree with their evaluation. AMCHAM is located in my city (Belo Horizonte) and I know them very well. 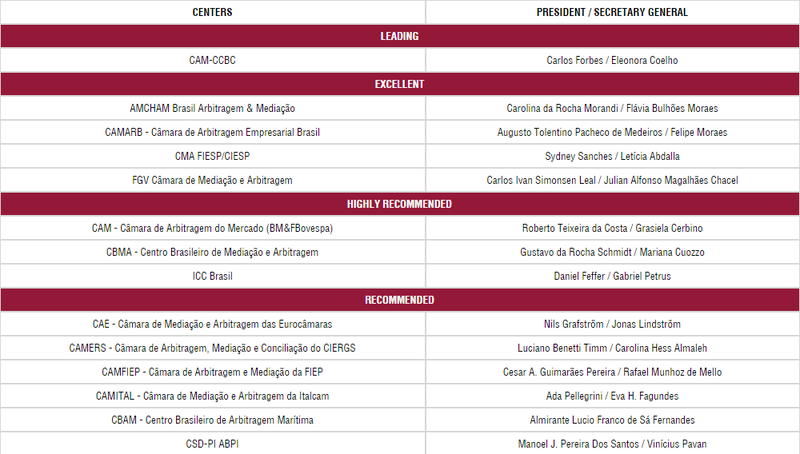 CAM-CCBC (the chamber from the Brazilian-Canadian chamber of commerce) and AMCHAM chamber are also very good. They are on the top of the list. This matches the feedback I get from clients and colleagues.